Steeped in mystery, Roswell, New Mexico, is best known as the crash site of an alleged UFO in 1947. 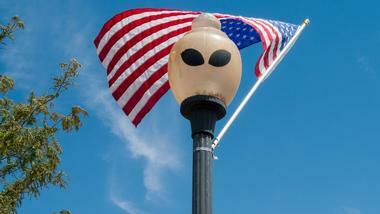 However, there is more to Roswell than myths of aliens and UFOs. 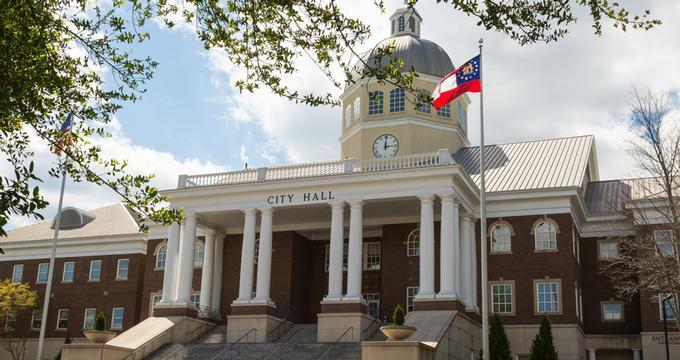 Roswell has ancient archeological and historical sites, excellent museums, galleries, cultural institutions, and an array of outdoor activities. Here are the best things to do in Roswell, NM. The International UFO Museum And Research Center is dedicated to exploring the 1947 Roswell Crash and the events that surrounded it, as well as other alleged UFO incidents in the United States and around the world. Founded in 1991, the museum was opened to explore the details of the world famous incident when a rancher found metal debris and a giant trench spanning hundreds of feet outside of Roswell. 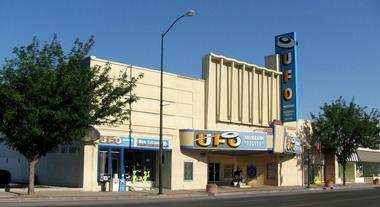 Housed in a former 1930s movie house, the museum is one of the most popular tourist attractions in Roswell, New Mexico. It boasts a variety of exhibits, displays, and information about the history of UFO encounters, as well as an extensive library on the subject matter. The museum also has a gift store with unique UFO-inspired souvenirs and many books on the subject. Situated at the confluence of the Spring, Hondo, and Pecos Rivers, the Downtown Historic District of Roswell has been an important site of human habitation throughout history. Once the original homeland of the Mescalero Apache and Comanches tribes, the area was first settled in 1867 by Anglo ranchers from Texas, who established the first ranching industry in Southeastern New Mexico. A population boom along with varying architectural styles were introduced with the advent of the railroad in the mid-1890's, including the Queen Anne, Bungalow, Victorian, Prairie, Italianate, and Tudor styles, which are still evident today. Visitors can enjoy guided tours around the Downtown Historic District of Roswell by the Historical Society for Southeast New Mexico. The Anderson Museum of Contemporary Art showcases works of art produced by former artists from the Roswell Artist-in-Residence Program (AmoCA). Established in 1994, the museum is dedicated to the work created by artists who have participated in the program, and it stands as a source of encouragement and inspiration for the local community. The 22,000 square-foot museum is home to nine galleries that exhibit over 400 diverse and unique works of art, including paintings, prints, photographs, drawings, sculptures, and other forms of figurative and non-objective visual art. The museum has a small shop that sells a range of art-based items, prints, books, and other products and hosts a variety of events throughout the year. The Anderson Museum of Contemporary Art is open Monday through Sunday. Founded in 1935, the Roswell Museum and Art Center is dedicated to showcasing the art and history of the American Southwest through a variety of outstanding exhibits and displays. Established as a cultural and educational center for the community, the 50,000 square-foot facility exhibits include paintings, prints and drawings, sculptures, decorative arts, and historical artifacts across 12 galleries. The center is also home to the Patricia Lubben Bassett Art Education Center, the Dr. Robert H Goddard Planetarium, and an excellent research library, and it offers a variety of educational programs and classes for children and students of all ages. The Roswell Museum and Art Center is one of Southern New Mexico’s preeminent museums and has been lauded for the quality of its exhibitions, programs, and collections by the American Association of Museums. If you are wondering what to do in Roswell, NM on a rainy day, the Roswell Museum and Art Center is a great place to visit. Resting on the banks of the Pecos River in two separate sections of central Chaves County, Bitter Lake National Wildlife Refuge is a wildlife and wetland haven for a diverse variety of mammals, birds, fish, and insects. Established in 1937 to provide a habitat for thousands of migrating sandhill cranes and waterfowl, Bitter Lake is one of the most biologically important wetland areas in the region. Straddling the Pecos River where the Chihuahuan Desert meet the Southern Plains, the refuge is home to a variety of lush water habitats surrounded by a dry, desert environment. The precious water systems attract a plethora of unique and rare fauna and flora such as the Pecos pupfish, Noel's amphipod, green throat darter, and the Roswell spring snail, as well as more than 80 species of dragonflies. 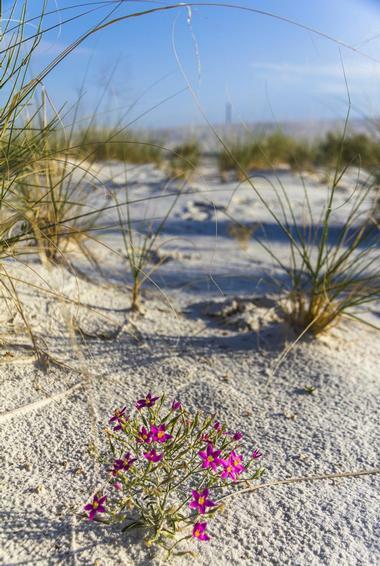 Mammals and reptiles that can be found in the sand dunes, native grasslands, and red-rimmed plateaus include scaled quail, roadrunners, and horned lizards. Spring River Park is a beautiful green park in the heart of Roswell. It is home to a small modern small zoo that covers 34 acres of pristine parkland. The zoo has five distinct areas, including the Capitan Trail, which features an array of animals native to New Mexico; the Children’s Zoo area, where children can get up close with a number of child friendly animals; a ranching heritage exhibit; a visitor service area with miniature train and antique wooden horse carousel; and a World Safari Exotics area. Highlights of the little zoo include the River Bottoms Exhibit with racoons, foxes, and bobcats, the Mountain Habitat with black bears and mountain lions, and the antique wooden horse carousel located in the heart of the park. The park also features a small tranquil lake, shady picnic areas, a children’s playground and beautiful old trees. Located 14 miles southeast of Roswell along the Pecos River, Bottomless Lakes State Park is aptly named for the nine small, deep lakes that are situated within the park along the eastern escarpment of the Pecos River Valley. Formed by the river that is constantly eroding the limestone cliffs of the mountain, seven of the lakes are surrounded by high cliffs while Lea Lake has a large, sandy shoreline on the western side. The cliffs around Lazy Lagoon have been completely eroded away. The deep circular lakes known as cenotes attract a plethora of visitors each year to enjoy a variety of outdoor activities such as hiking, climbing, swimming (only allowed in one of the lakes), fishing, and wildlife watching. The Historical Society for Southeast New Mexico was established to preserve and interpret the history of Southeast New Mexico and to promote a greater interest in, understanding of, and appreciation for the region’s rich past. The society is housed in the 1912 Prairie-style mansion of local rancher James Phelps White, and the building’s interiors have carefully been restored to their original early 20th-century decor, complete with period furnishings and artworks. Located at the corner of North Lea and West Second Street, the house is listed on the National Register of Historic Places and is available for special events such as weddings, receptions, and other occasions. The Historical Society for Southeast New Mexico also has an archive that features an abundance of rare and historical books, manuscripts, maps, newspapers, obituaries, and thousands of photographs. Admission is free. Based at the Walker Air Force Base, the Walker Aviation Museum is dedicated to sharing historical information about the all-important military base and the men and women who served their country from this base. The Roswell Army Air Field and Walker Air Force Base was the base for the Strategic Air Command’s strongest fighting force, as well as the site of the Atlas Missile and the famous Enola Gay. Located inside the Roswell International Airport, the Walker Aviation Museum houses a wealth of displays and exhibits, including the 579th Missile Squadron Reunion Group and displays of WWII era Russian, German, and Japanese rifles and bayonets. Admission is free. The Roswell Symphony Orchestra (RSO) provides the community of Roswell and Southeast New Mexico with an annual concert season consisting of the best of orchestral literature, as well as music education programs for children and young adults. Beginning its 55th season, the Roswell Symphony Orchestra promises a season that includes a special Subscription Concert Series of five classical concerts presented in the beautiful Pearson Auditorium, a variety of Children's Educational Concerts for elementary students in Roswell, Dexter, and Hagerman, and a free Labor Day Concert at Spring River Park and Zoo. The General Douglas L. McBride Military Museum is dedicated to showcasing the historical heritage of the New Mexico Military Institute (NMMI) and the Corps of Cadets. Originally built as a natatorium in 1918 and later transformed into a museum, the McBride Military Museum is located on the second floor of the Enrollment and Development Center and houses a variety of displays that focus on the history of the New Mexico Military Institute, including the NMMI Hall of Fame. Featuring a growing collection of outstanding alumni, the Hall of Fame recognizes the achievements of NMMI graduates as they live out the motto: "Duty - Honor - Achievement." Admission is free. The Roswell Community Little Theatre entertains the community and general public with plays, cultivates, encourages and inspires an interest in live theatre, and provides a variety of opportunities for both youth and adults to participate in all aspects of theater. Productions have included The Wizard of Oz, To Kill a Mockingbird, Sherlock Holmes, The Final Adventure, and The Mystery of Irma Vep. The Roswell Community Little Theatre also presents a range of educational and youth workshops for the community and hosts other forms of theatre-based entertainment such as mysteries and dinner theater. Find out what actually happened in 1947 when an alleged UFO crashed in the desert outside of Roswell with an in-depth and informative Roswell UFO Tour. Run by top Roswell UFO Researcher, Dennis Balthaser, the fully-guide private tours include visits to over 20 locations throughout Roswell, where visitors will go in search of the truth as to what actually happened at the crash site, the retrieval, and the cover-up of the so-called UFO. Tours visit the former homes of several of the first-hand witnesses, as well as several of the city's museums, the Roswell Army Airfield where the “UFO parts” were kept, and the former Roswell Army Airfield Fire Station. Dennis shares his extensive knowledge of the incident, the locations, the people involved, and the myths and mysteries attached to it. Tour guests are transported in comfortable air-conditioned vehicles with pick-up and drop-off service at the hotel of choice. Featuring over 600 acres of towering sand dunes, the Mescalero Sands North Dune Off-Highway Vehicle (OHV) Area boasts a vast dune field made up of quartz particles that is ideal for all-terrain bicycles, dune buggies, and sand rails. The area also features mature cottonwood trees that thrive in the arid environment. The southern section of the dunes is accessible by the Cottonwood Site, and the northern part via the Bowl Parking Area, which includes the “Bowl,” a significant depression surrounded by dunes. There are picnic tables, grills, and shelters at both the Bowl Parking Area and the Cottonwood Site, as well as restrooms. However, there is no water available. Activities that can be enjoyed in the area include Off-Highway Vehicle use, motorcycle riding, and picnicking, and RV camping is allowed in the north, middle, and south parking lots. Founded by Paul and Cindy Ragsdale 2004, Pecos Flavors Winery produces a variety of local wines, including Compadres, a New Mexico Cabernet / Syrah blend. 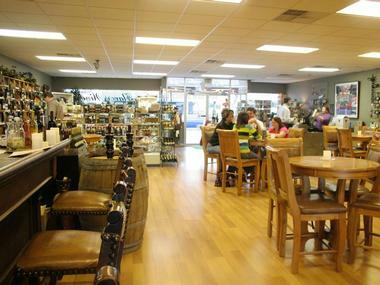 The winery has a tasting room in downtown Roswell that features New Mexico wines and products and offers visitors a chance to taste some of the estate’s finest vintages. Decorated in southern New Mexico farm and ranch décor, the tasting room features a 100-year-old bar, which was found in the Hondo Valley, as well as a statue of Billy the Kid. Tastings include a wide variety of New Mexico wines from more than a dozen labels and over 80 blends, as well as an excellent selection of New Mexican treats, including chocolates, nuts, coffee, sauces, and cheeses. Tastings are conducted Monday through Saturday and include a selection of New Mexico brewed beer as well.